Sourced from 11- to 14- year old hillside blocks planted with the “Valdivieso” field selection on a red clay mixed with decomposed granite. The blocks used in this blended were cropped at an average of 5 tonnes per hectare (2 tons per acre). 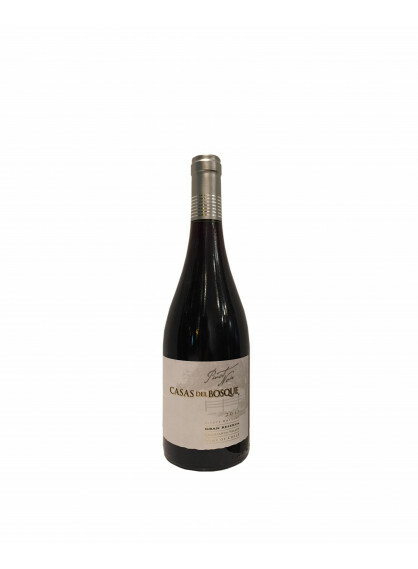 The Casas Del Bosque Pinot Noir is ruby red in colour. On the nose there are intense aromas of cinnamon, black plum and cedar with just a hint of orange blossom. In the mouth, notes of red cherry, raspberry and a touch of allspice are all evident. A well-integrated oak backbone is backed-up by fresh acidity together with soft, well-rounded tannins with together impart excellent structure and length.